Nayara Energy Limited (24% is owned by UCP Investment Group) has expanded its retail network almost by 20% to 5,000 fuel-filling stations over the past year. Nayara Energy has achieved significant increase in its share in the growing Indian market. For four years the number of filling stations of the company has increased more than 3 times. Nayara Energy intends to maintain its pace of the retail business development in India. The Company’s short-term plan includes possible expansion of the fuel-filling stations network in India up to 7,000 units. Due to the steadily growing domestic demand for higher added value products, the availability of the retail market outlet for petroleum products adds to both production and financial performance of the asset. According to the IEA forecast, the Indian motor-vehicles industry will demand 132 mtoe of petroleum products per annum by 2040. Nayara Energy Limited is a high-class asset featuring Indian refineries and a chain of filling stations. A consortium of international investors UCP Investment Group and Trafigura together with Rosneft acquired the asset from Essar Energy Holdings in August 2017. This provided an entry for the companies into one of the fastest-growing world markets. 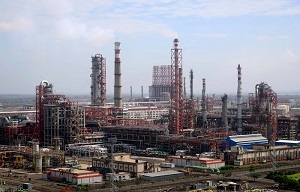 Nayara Energy owns Vadinar refinery with throughput of 20 mtpa (Nelson index 11.8; conversion rate 95.5%), as well as an oil depot terminal, a port, infrastructure, and a chain of filling stations under brand Essar.